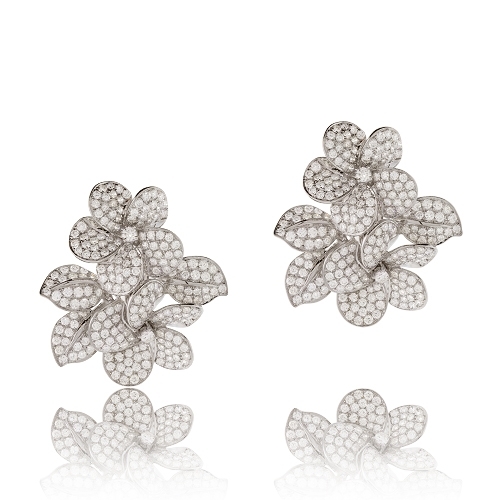 Brilliant pave set, white diamond, flower earrings mounted in 18kt white gold. Diamonds approx. 4.42ct. Earrings 1.15"